I’m curious about what are the most popular blogs for neuroscience right now because I want to see what people are interested in, and learn how to write an interesting blog by example. But how exactly do you find the most popular blog? There are blog ranking lists, top results on google, and lists of expert recommendations. Half the ones you find haven’t been updated in over a year. 1. Mind Hacks - Neuroscience and psychology tricks to find out what’s going on inside your brain. Features cool case studies, links to interesting articles, and analysis of the popular presses coverage of psychology issues. Most posts by Vaughan Bell, senior research fellow at the Institute of Psychiatry, King’s College London, with occassional offerings from Tom Stafford, Lecturer in Psychology and Cognitive Science in the Department of Psychology, University of Sheffield. 2. Action Potential - A Nature.com blog that is updated almost weekly. Similar in style to what I want to achieve, this blog lays out long summaries of papers recently published in nature, reports on conferences. Highly Reccomended. I really hope we start seeing more of this kind of blog. 3. Law and Neuroscience Blog - Blog where MacArthur Foundation Researchers on Law and Neuroscience can post about how Neuroscience is influencing (or should be influencing) law. 4. NeuroSkeptic - A UK neuroscientist’s skeptical look at his own field, and beyond. 5. Neuropathology Blog - Brian E. Moore, MD, a neuropathologist in the US, discusses the practice of neuropathology, tumors, anatomy, neurodegenerative disease, muscle and nerve disorders, and more. 1. Neurophilosophy - A great blog for keeping up with a wide birth of neuroscience news. Maintained by an active blogger, tweeter, and ex-molecular and developmental neurobiologist Mo Costandi. On Neurophilosophy, you can find accurate articles about interesting new findings long before they are covered by other blogs. 2. Psychology Corner - Blog by a Romanian clinical psychologist and psychotherapist Lucia Grosaru. I’d like to see more updates and more coverage of scientific articles, but popular articles like: “Toddlers and children beauty pageants – Risk factors for severe psychological turmoils” and “10 (Psychological) Reasons why we like Dexter Morgan” engages people and gets them commenting in a way I haven’t managed to. 3. NeuroLogica - You may also know the accomplished Yale Neurologist Steve Novella from his podcast The Skeptic’s Guide to the Universe, his other blogs, or lectures with the Teaching Company. For such an accomplished busy man, Novella keeps his blog regularly updated with articles about new scientific findings. What really sets this blog apart is how Novella uses his background knowledge to frame the study in it’s surrounding body of work, explain why he finds it interesting, and talk about the future of the field. 4. Snow Drop - This blog’s appearance in the top 5 demonstrates the dangers of democracy, and a need for the blogging community to regulate itself better. This blog is clearly spam to sell the author’s rehabilitation programs. For example: the “author’s” 2012 article The Importance of Zinc is uncredited copy-pasta plagiarism of this 2006 eurekalert press release. I know very little about neurodevelopmental consultant Andrew Brereton, who says he became interested in neuroscience and child development after his son was diagnosed with cerebral palsy, but his lack of integrity makes me skeptical about his claims, and I wonder how legitimate his therapy is. 5. Neuromarca - Spanish-language neuromarketing blog. Si quieres leer de neuromarketing esto es tu blog! And if you want to read it in english, google chrome’s translate feature will do a good enough job. Sergio Monge Benito’s quality blogposts on an area outside my main interests and expertise, but a good way to learn about practical applications of neuroscience to a field with little exposure in conventional neuroscience academia. Previously mentioned Neuroskeptic, and Neurophilosophy were in the top overall blogs. Neurocritic - Interesting blog with diagrams and links to primary literature. Quantum Lobe Chronicles - William Lu’s blog about Psychology, neuroscience, philosophy, quantum physics. Barely updated anymore. 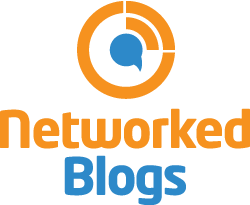 Neurodojo - A neuroethologist’s blog less about neuroethology and more about blogging, the internet, sociology of science, and random stuff. Wiring the Brain - Brain wiring during development and what happens when it goes wrong. Good, focused blog, with diagrams and references to primary literature. Brain Blogger - A collaborative blogging effort supported by the Global Neuroscience Initiative Foundation (GNIF), Brain Blogger has over 80 contributors including neurosurgeons, psychotherapists, forensic psychologists, registered nurses, clinical pharmacists, patient advocates, and general citizens concerned about neurological and mental health. List IV Blogrank’s Top Mental Health - Uses a 20-factor formula to rate blogs and displays some stats for many sites such as number of visitors and RSS subscribers. Unfortunately doesn’t have a category for neuroscience, so I scrolled through and found the top 5 neuroscience-y blogs. These blogs are more on the human experience side than on the science side, but its important for even the most basic neuroscientists to understand the impact of mental health and psychiatric disease. 1. Autism Learning Felt - This blog is written by Tammy L., the stay-at-home mother of a 15-year-old girl with autism. She describes the blog as P.R.-friendly, meaning she’ll reviews of all types of products that can be related to children with autism or moms. Reviews don’t seem too critical, but aren’t saccharine either, just straight-up descriptions of products. A good window into the types of commercially available products for children with autism. 2. The Secret Life of a Manic Depressive - A mental health activist’s blog chronicling her diagnosis of bipolar disorder and body dysmorphic disorder, and navigating the mental health care system in the UK. The writer has written for One in Four magazine, BBC Ouch, the Guardian, Independent and the Observer. 3. Storied Mind – Recover Life From Depression - John Folk-Williams’ blog to share the ideas, stories and information that have him get over depression and restart his life. Pop-psychology advice. To be honest, not much from this list really impressed me, so I moved on. 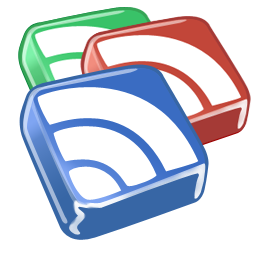 Also, check out my post: Beyond Blogs – Keep up with neuroscience through podcasts. More posts will be coming soon with similar analysis for the most popular psychology blogs, most popular biology blogs, and most popular genetics blogs. If anyone has recommendations for good neuroscience blogs that are consistently updated or tools to find them, please post them below or shoot me an email.